This edited volume demonstrates some of the potential contributions of discourse analytic approaches to the study of education policy and its implementation within particular policy contexts. Contributing authors provide a range of perspectives, examining education policy using both micro-analytic traditions and more macro-analytic traditions. 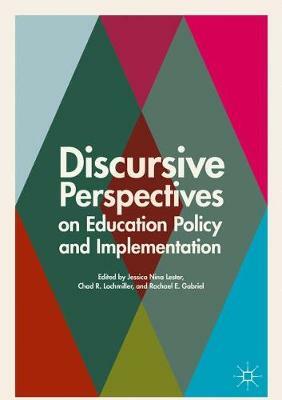 With examples of research focused on various stages of the policy process from agenda-setting and policy-making to implementation and media representations, this volume will appeal to scholars engaged in research at the intersection of education policy and discourse analysis, and to students with specific interests in education policy and qualitative research methods.